Banjo-Kazooie is a platform video game developed by Rare and originally released for the Nintendo 64 video game console on 29 June 1998. It follows the story of Banjo and Kazooie as they try to stop the plans of series antagonist Gruntilda, who intends to switch her beauty with Banjo’s sister Tooty. The font used for the game title in the cover art is very similar to Lithos Pro Black. The display sans serif created by Carol Twombly was inspired by the geometric letters chiseled into the stone used in ancient Greece. The flexible design combines simplified character shapes with a playful asymmetric quality that works well for a large variety of display applications. 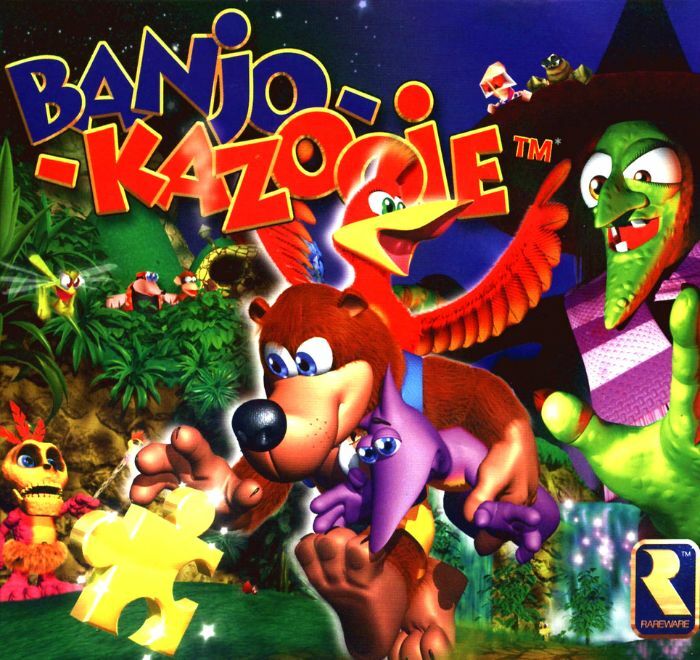 In addition to Banjo-Kazooie, Lithos typeface is also used in the following logos, movie posters or album covers etc., including: Yooka-Laylee, Super Wings, Taco John’s, Clinch Mountain Bluegrass, Space Jam, Treasure Untold, George of the Jungle (Film), Dancing the Blues, Cool Runnings, Crooked Arrows, My Life in Ruins, Home Alone.